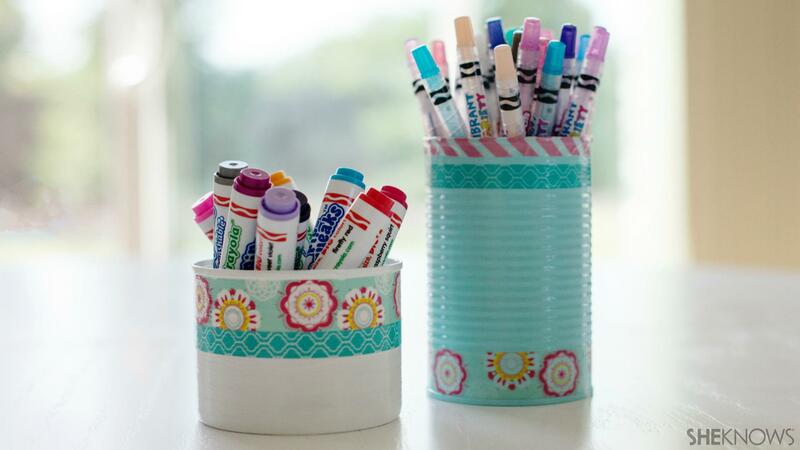 With this simple kids’ pencil holder craft, they’ll never go looking for a pencil again. We’ve all come a long way with our great recycling habits, but with this fun kids’ craft, we can take our Earth-friendly ways a step further — by repurposing those tin cans from the recycling bin. If your kids’ art stash looks anything like ours, then you likely have 3 billion stray markers, crayons, pencils and pens. 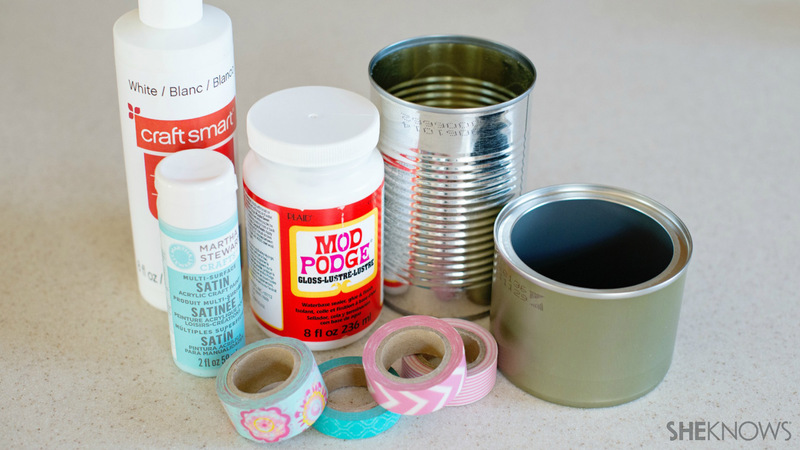 With some clean tin cans, a couple of coats of paint, a bit of washi tape or ribbon and some Mod Podge, you’ll have those art supplies corralled in no time. Optional: White glue if using embellishments aside from the washi tape. Prepare the tin cans by washing them completely. If there are any tough bits of glue or paper left behind when you remove the labels, Goo Gone or a bit of olive oil are helpful for getting off any residue. Thoroughly dry the cans or set them aside to dry completely. 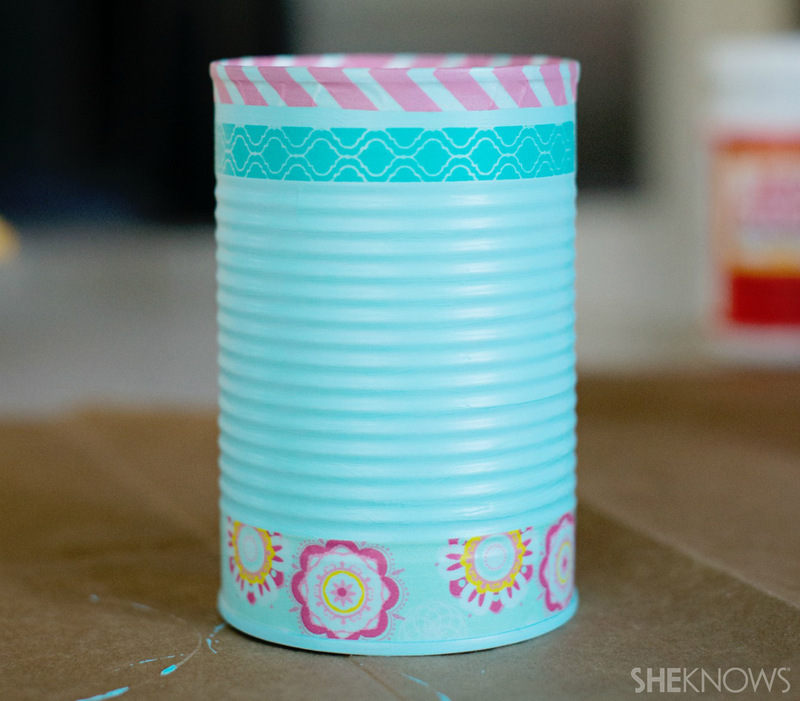 Paint the outside of each can with the acrylic paint color of your choice. Optional: Apply 2 coats of paint to the inside of each can, allowing to dry completely between coats. Some cans have a rough inner edge once open. If your can is sharp, be sure to cover this edge with washi tape or ribbon to protect little hands. 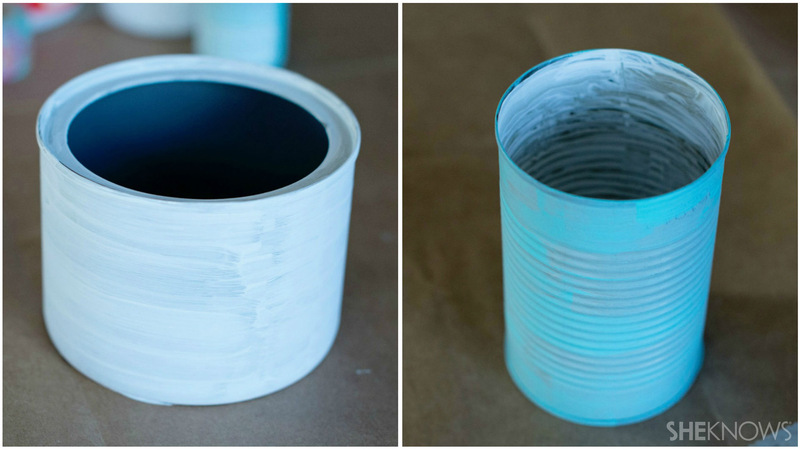 Apply a thin coat of Mod Podge over the entire outside of each can. Allow to dry completely. Don’t rush this step or you’ll end up with tacky surface. Apply a second coat of Mod Podge. Allow to dry completely and fill them up.